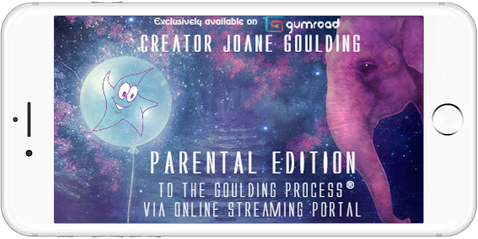 This “Foundation” of the Goulding SleepTalk® process is now available as a eBook and MP3 download. It creates changes which can last a life time and is about talking to your child while they sleep. It helps them to awaken in the morning, remaining calm and happy, ready to deal with their world in a confident and self-assured manner. It’s a safe, inexpensive, ethical and loving process, assisting issues such as developing emotional resilience, bedwetting, sibling rivalry, reducing tantrums or dealing with separation anxiety. It starts off teaching parents the concepts of SleepTalk® and the “Foundation Statement.” The “Foundation Statement” is the first stage or level 1 of SleepTalk® that all parents will use to start the Goulding Process with their children. In many cases, The “Foundation Statement” has shown to be all that is needed resolving many issues. Starting with the Goulding Foundation Statement will increase a child’s self-esteem and the unconscious awareness of being unconditionally loved. It’s easy to learn, and takes parents only two minutes at bedtime, and it cannot be done wrong. It’s absolutely safe, ethical and positive. The two minute gift with changes that last a lifetime. 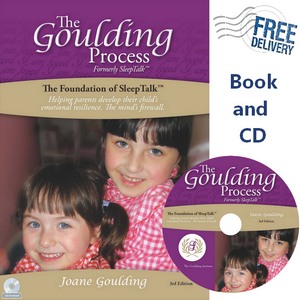 Parents and healthcare professionals have called the Goulding Process a powerful self-help program which parents and childcare professionals have been using for more than 35 years. They endorse it because it WORKS, helping to reduce anxiety and stress, developing a positive self-confidence, empowering children to manage, improve and balance their behaviour, anxiety and relationships. 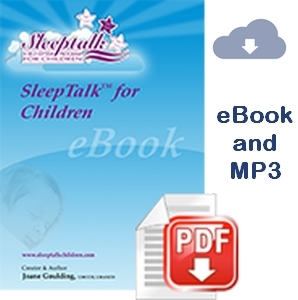 This short eBooklet explains how parents apply the basic (Level 1) Goulding SleepTalk® for Children process with directions that are easy to understand.